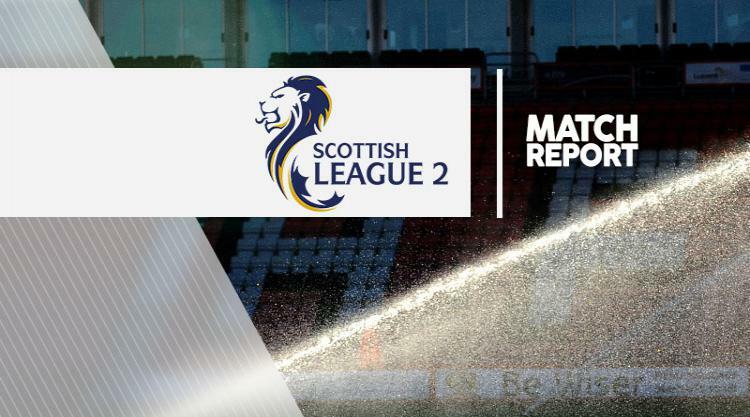 Gavin Swankie struck a late winner as Scottish League Two leaders Forfar opened up a seven-point gap at the top after they edged a 4-3 victory over against Cowdenbeath in a topsy-turvy game at Central Park. Fraser Mullen scored a goal in each half for the hosts either side Lewis Milne's equalising header and Swankie's opener just before the break. Kriss Renton was on target with Forfar's third midway through the second half, but Josh Peters cancelled that out two minutes later, while Swankie completed his brace on the whistle for the win. Over at Arbroath, a late Steven Doris penalty clinched maximum points for the hosts in a narrow 3-2 comeback success over Elgin in a game both sides finished with 10 men. A goal apiece from Brian Cameron and Chris McLeish put Elgin 2-0 up before the hosts pulled two back thanks to a Bryan Prunty header and close-range strike from Doris. Jassem Sukar saw red for his second bookable offence for the hosts after 69 minutes and Thomas Reilly joined him four minutes later, while Doris' spot-kick at the death saw his side leapfrog their opponents into second. Down at Shielfield Park, Ryan Ferguson and second-half substitute Jonny Court netted either side of Michael McKenna's leveller as Montrose claimed their second consecutive win with a 2-1 win over Berwick to move up to sixth. Stirling moved off the bottom with a second league win since October 1 as they brushed aside Annan with a 3-1 result at Forthbank Stadium. The hosts' goals came from Darren Smith, Ross McMillan and Dylan Bikey after a first-minute penalty from Maxwell Wright put the visitors ahead. Meanwhile, the match between Clyde and Edinburgh City finished goalless at Broadwood Stadium.